Two reasons for a non- biryani post this weekend – one, a good friend pointed out to me last week that I could use my blog to help disadvantaged people; and two – a delicate constitution this weekend has prevented me from tasting any spicy, oily biryanis. So today I am going to talk to you about a topic that’s very close to my heart. On July 27, 2008 a boy with one polio affected leg successfully crossed the English Channel and was awarded Andrew Scott’s “Youngest Successful Channel Swimmer” award for 2008. 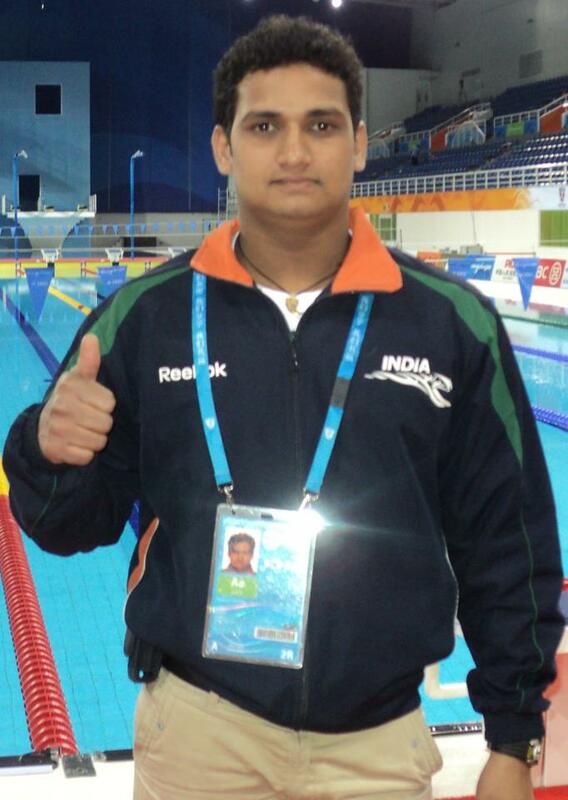 This boy, Rajesh Shinde, first learnt how to swim in a pond in the small town of Belgaum in South India and had trained rigorously, travelled thousands of miles to achieve this feat. His colleague, Raghavendra Ratnakar Anvekar, who was born with deformed legs, twisted at the knee, who can move about either on his knees or in a wheel chair, also attempted the Channel, but failed with hyper ventilation mid way through the swim. Both these boys were brought to England by the Swimmers’ Club Belgaum and the Aquarius Swim Club Belgaum. What is the connection, you ask. Well, long ago – Okay, long long- ago when I was a little girl, my parents and two of their close friends were sitting around our ancient swimming pool watching us swim in a competition conducted by the Inner Wheel Club of Belgaum. The pool wasn’t in a great condition (in fact a few months previously a lost armadillo had found its way into the pool through some water pipes!). Following the competition a suggestion was made to form a club for budding swimmers & thus the Belgaum Swimmers’ Club was formed. Maki Aunty became the President of the Club, Lata Aunty its vice-president and my mother was given the title of Treasurer. My father was its enthusiastic supporting life member. After several years of dedicated service, the club has now been working in close collaboration with the Aquarius Swim Club. Every year, the club organizes a free swimming training camp for disabled & underprivileged children – some of them from very poor families. Two of these trainees dreamt of swimming the English Channel and one of them achieved that dream. All because of the intense training by these two clubs and the dedication of their organizing committee, the coaches and volunteers. I have decided that I will donate 10p for every new follower I get on the blog – be it for email updates, my Facebook page or my Twitter feed. So please, please spread the word and get your friends to follow the blog. Who knows maybe somewhere in Belgaum there is a disabled child with aspirations of swimming the Channel – and who knows maybe we can help them achieve that dream! This entry was posted in Biryani and tagged airline food, biryani, dal rice, Indian food, Indian recipes, Indian takeaway, recipes, rice by Poornima. Bookmark the permalink. Poornima you have done me proud.I have shared your post on fb.